One night, years ago, I stood in a clearing alone, hours from any populated place, beyond spruce and fir-lined old growth logging roads. For the first time in my life I had an uninterrupted view of the stars, and they enveloped my entire field of vision. The day before, I awoke to take in my first mountain range, belted by trees and bedded by a low-slung fog which disguised its peaks as clouds until I spotted the pines dotting their slopes. For hours they grew westward out of the prairies and, when I fell asleep that night, they seemed knee-high (at most). With my neck craned, I marvelled. A Coliseum Complex Museum conjures up both of these memories simultaneously. It plays well as the glittering soundtrack to unbounded worldly wonders. 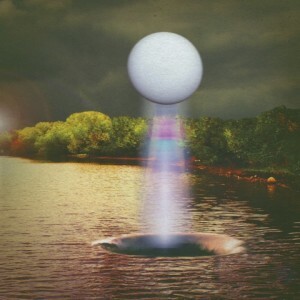 These tempos, in other bands’ hands, would be plodding in the minutes Besnard Lakes take to scale epic crescendos. Their shifts in keys and tones, between saw-blade sharp distortions and voluminous harmonies, is exacting. There is nothing reckless about A Coliseum‘s construction, and it shows. I don’t know how long these songs have spent in the band’s songwriting process, but they’re layered with a meticulous consistency that makes them mountainous. As their fifth full-length release, A Coliseum furthers The Besnard Lakes’ commitment to making their sounds as big as the world they’re made in.